Key difference: Life Insurance and General Insurance are two different types of insurances. The primary difference between is that life insurance protects against life, whereas general insurance protects against loss or damage to an asset. Insurance is an important product. It is a product that hinges on security. It protects a person against liability and financial loss in case if something goes wrong. For example: car insurance protects the owner in case the car is in an accident. Most car insurance will pay out money to the insured, i.e. the person who took out the insurance in order to cover the costs created by the accident. 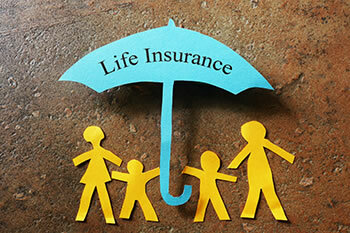 Two other popular life insurances are life insurance and general insurance. Both are two different products that serve two different purposes. They also insure against different things. As the name suggests, life insurance is an insurance against the loss of a life. Whereas, a general insurance is an insurance that protects against more general things. To add to the confusion, there are also a variety of different products that full under the category of life insurance or general insurance. Life insurance is a type of insurance that insures against the loss of life. Most types of life insurance work on a similar notion, even if their details might be different. Here, the life of a person, typically call the insured is protected against loss. This means that when that person will die, the insuring company will pay an agreed amount to the person’s family in order to help them with financial difficulties that may arise after the person’s death. In order to avail this sum, the insured must pay a premium to the insuring company through their lifetime, or for the duration specified in the policy. General insurance, on the other hand, words under similar principals. In it, the insured must also pay a premium to the company, and in lieu of that, they may be accessible to a payout later. However, instead of insuring against loss of life, general insurance insures against financial losses incurred on the basis of assets. Such as financial loss incurred by the theft or damage of a asset, such as machinery, or stock. The premium and the payout depend upon what the insured item is as well as its cost and value. There are many different types of general insurance, such as health insurance, property insurance, fire insurance, car insurance, etc. basically everything other than life insurance is mostly categorized under general insurance. 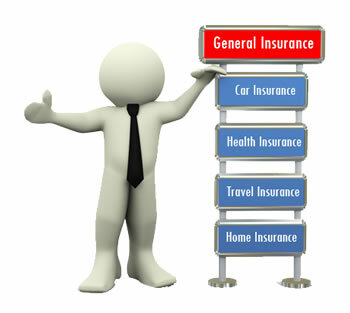 Each type of general insurance is different and serves a different purpose. For example, car insurance protects a car, fire insurance protects against damage caused by a fire, etc. However, it should be noted that not all life insurances and general insurances are the same. Each company has their own set of rules and conditions which must be met in order to receive a payout. For example, a life insurance policy might only protect the life on a person until a certain age and if that person dies after that age, then the policy is null and void, or some might pay a reduced sum. Another policy might pay out only if the insured dies a violent death i.e. in an accident or is murdered. If the person dies of natural causes then the policy might be void or might pay less. Each policy is different and one must read the policy and its conditions carefully before signing. Life insurance is a contract between an insurance policy holder and an insurer or assurer, where the insurer promises to pay a designated beneficiary a sum of money (the benefit) in exchange for a premium, upon the death of an insured person (often the policy holder). Everything else, such as property, health, etc. Usually short term, such as a year, 5 years or 10 years. The amount is paid when loss is incurred.